For all disciplines the techniques and skills taught in the fall are built on throughout the course of the year. Ballet is the foundation of ALL dance forms. Learning one’s center is key in learning to dance. 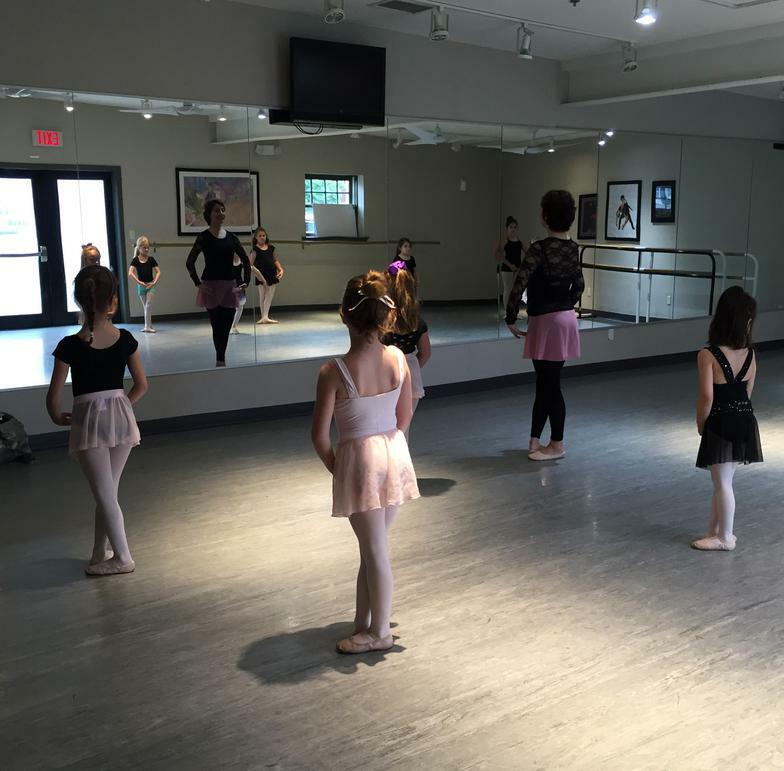 Students will be introduced to ballet concepts, technique and vocabulary. Ballet is a beautiful balance of strength, control, and grace. Classes are traditionally organized, including stretching, barrework, porte de bras, adagio, pirouettes, petite and grand allegro. Pointe is offered to students who have mastered the knowledge and technique of ballet – and have the required strength to dance en pointe. Fundamentals of correct en pointe technique are presented. Hip Hop combines the latest street and funk styles seen in music videos to create a fun and exciting class for all to experience. This class has been designed to introduce children to basic hip-hop technique combined with fundamental concepts of Jazz. We also offer a Boys Only Hip Hop class. Jazz incorporates ballet technique with a dynamic flare. Warm up exercises are designed specifically to increase flexibility and strength. This upbeat class will consist of classical and cutting edge jazz choreography. Center floor combinations consist of turns, leaps, and require body control. Contemporary dance is intricate and physical. The dancers change levels and directions quickly and seamlessly. Contemporary dance may deal with abstract concepts, images, or emotional extremes. It has a rawness that sets it apart from plot-driven ballets or jazz. Tap is a creative avenue for students to develop musicality and rhythms. Different tap styles will be taught such as “Broadway Style,” or the new hottest trend “Rhythm Street Tap.” Students are taught integration of tap dance and music as it relates to improvisation and choreography. Modern dance was formed as a break away from the structure of classical ballet. There are many pioneers in modern dance such as Martha Graham and Lester Horton who emphasize a whole-body approach including contractions, and release, flexibility, strength, coordination, and body awareness to allow freedom of expression. Students will be taught not only technique but the philosophies behind the different schools of modern dance. A course designed to strengthen technical jazz dance elements. Students work on the fundamental aspects of jazz. Most of the class work is done through progressions across the floor that include turns, jumps, leaps, and kicks. A fun energetic class that focuses heavily on performance skills and stage presence as well as dance, acting and character development. Students will become familiar with a variety of musicals, learn how improve performance skills and self confidence.